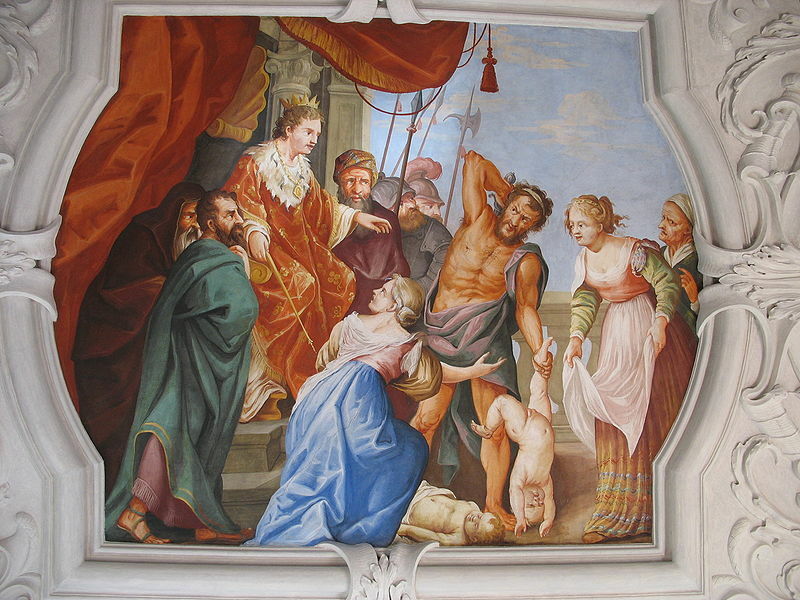 I cast the Judgment of Solomon upon my fellow Americans. This swaddled child of fragile democracy passed down to us from generations of proud Americans shall be for neither the leftwing nor the rightwing — we shall divide it in half. For we cannot come to terms and no aggrieved party shall ever be satisfied henceforth. Just as the internet already has become complete in its utter division and quartering-off into tightly bound untouching spheres; as shall the the Union be broken forever and the United States shattered to nothing but individual states so that if any union is to be formed it may be formed anew. The same sword that the slew the free web should also slay the entire United States for the electronic landscape is but a mere reflection of what we are as a modern people and as a modern society. We as a people, as a political and deliberating body, do not communicate any longer and as such it is time to crush the false former preconception that there is such a structure in this world called “The United States of America” as such an entity does not currently exist. There is but one fair solution: we part our ways from the notion of unity altogether. People need not tolerate one another any longer, we shall cast our entire social structure into rigid fixtures that do not touch one another. People need not be confused by differing views any longer, we shall keep our intellectuals isolated unto themselves in tight-knit groups that do interact with each other let alone the outside world. Freedom and liberty can be redefined, just as morality and justice have been in the present day. We will survive, but first we have to lay down and die. We will thrive, but first we must lay our head in the guillotine. But for now it’s just another lonely day.